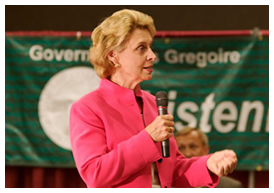 Chris Gregoire is serving her second term as Washington’s 22nd Governor. The Gregoire administration is open, accessible and eager to work with anyone who shares the Governor’s passion for Washington’s future. Use the links to the left to learn more about the Governor’s Office, her cabinet and staff.